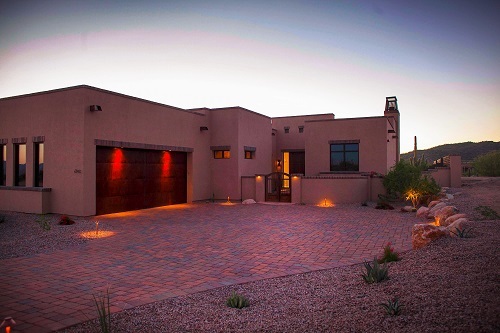 Has it been your dream to own Scottsdale luxury real estate? Before you run out and buy the next Scottsdale home for sale, you may want to consider your other options. There are different towns in Arizona that offer luxury real estate with better perks and amenities than Scottsdale luxury properties. Take a look at a quick comparison between two luxury residential developments – Silverleaf in Scottsdale and The Residences at The Ritz-Carlton in Tucson. Silverleaf is a luxury community in DC Ranch that offers custom properties and estate homesites ranging in size from 1 to 15 acres. The custom homes available at Silverleaf are grouped into collections, with several floor plans offered within each collection. The Sterling Villas home collection has four distinct floor plans to choose from, and the Camelot Verandah home collection has five floor plans ranging from 2,800 to 5,000 square feet. The 2,000-acre community is nestled into the McDowell Mountain Preserve, offering a premium level of privacy as well as quick access to city life and amenities. There is also the Silverleaf Club and Spa which offers everything from a Tom Weiskopf-designed 18-hole championship golf course to event space for gatherings, and spa offerings. However, proposals for club membership are by invitation only and are separate from property ownership. There are also Silverleaf homes on the market for resale starting from $1.4 million. Comparatively, The Residences at The Ritz-Carlton, Dove Mountain also offers custom floor plans and estate homesites ranging in size from one-half acre to 7 acres. At The Residences at The Ritz-Carlton, Dove Mountain, there are eight superb custom home floor plans to suit every need and lifestyle, but you also get to work with the design team to make little tweaks and unique customizations as you see fit. The Residences range from 2,400 to 5,400 square feet with prices beginning in the high $600s. The Residences at The Ritz-Carlton, Dove Mountain is located 25 minutes north of downtown Tucson, Arizona on 850 acres within Dove Mountain’s 6,200 acres in the foothills of the Tortolita Mountains. 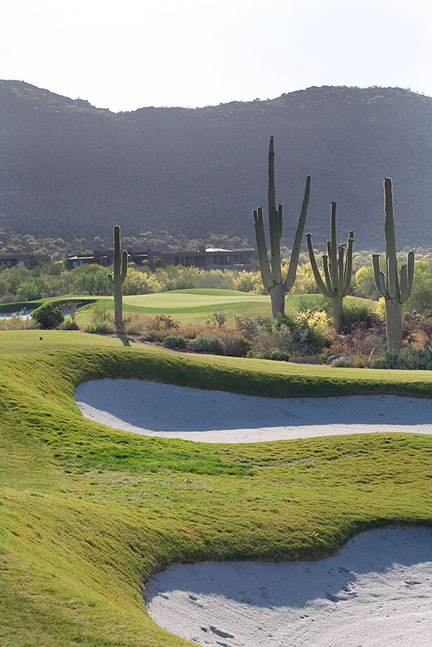 The community offers Ritz-Carlton hotel and spa amenities, a 45,000-square-foot clubhouse complex, 27 holes of Jack Nicklaus Signature Golf, an olympic-size swimming pool, private lush desert living and over 25 miles of hiking, biking and walking trails. Plus, club membership is open to all homeowners in The Residences, unlike Silverleaf where it is by invite-only. There are very few existing homes in this community currently on the market for resale. As you can see from the comparison above, it’s important to check out all your options when looking for luxury homes for sale in Scottsdale. You can actually get more luxury amenities, more privacy, and more customizable options for less money when you look outside of Scottsdale.